Prunus padus – Bird cherry, hackberry. A bushy tree from the rose family. In spring, it shoots out long clusters of white flowers. By the dozens, they dominate the tree. Staying true to its name, these flowers will transform into small cherry fruits that birds love. 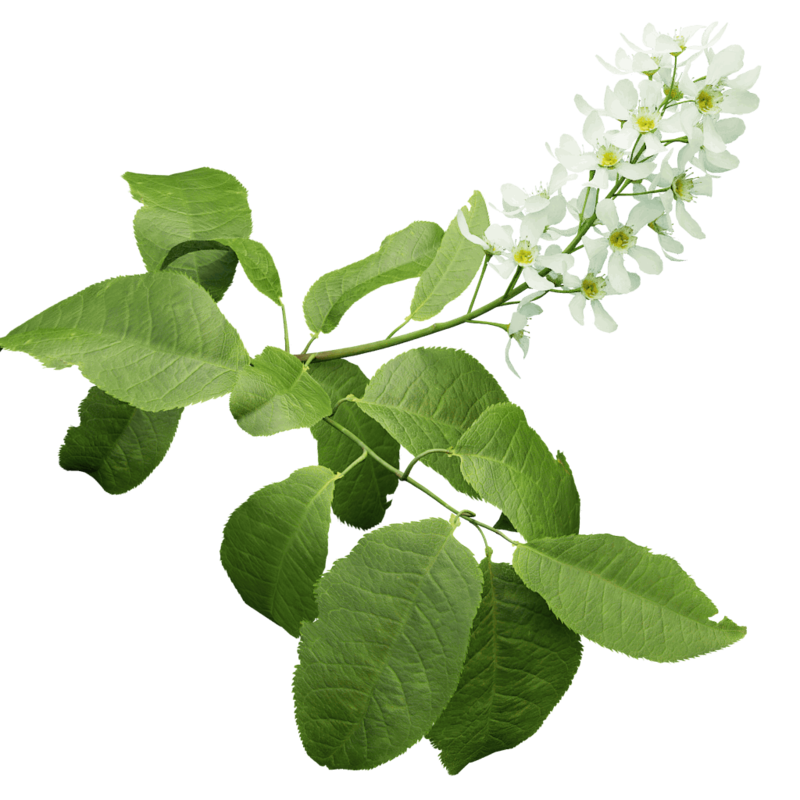 Bird cherry trees produce flowers on lateral twigs, and its apical twigs mostly consist of just leaves. That’s why this twig comes in two separate twig models, a vegetative apical twig and a floral lateral twig. Used together, they capture the essence of the tree.